It’s likely you’ve heard of CBD or hemp oils in the news by now. CBD oil has emerged as the go-to medicine for a wealth of health problems. But is it as effective as its popularity? CBD for epilepsy is a hot topic that’s finally being backed by research and the FDA. As an alternative to conventional pharmaceuticals, CBD for seizures offers a plant-based remedy for a debilitating condition. Rather than suffer through the physical and financial strain of pharmaceutical treatments, CBD oil for epilepsy might be the alternative solution you’ve been searching for. CBD is short for cannabidiol, an element of the cannabis sativa plant. Unlike its cousin THC, CBD doesn’t produce a high. It’s more like the vitamins within fruit compared to the sugars. While you get both from whole fruit, extracting one or the other individually offers completely different results. CBD provides tons of health benefits (like vitamins), but the research is particularly sound on epilepsy relief. Science has recently uncovered an endocannabinoid system within the human body. Similar to other regulatory processes, this system controls pain management, sleep, appetite, and other aspects of cognition. CBD, or cannabidiol, is a natural, external source of cannabinoids from plants. 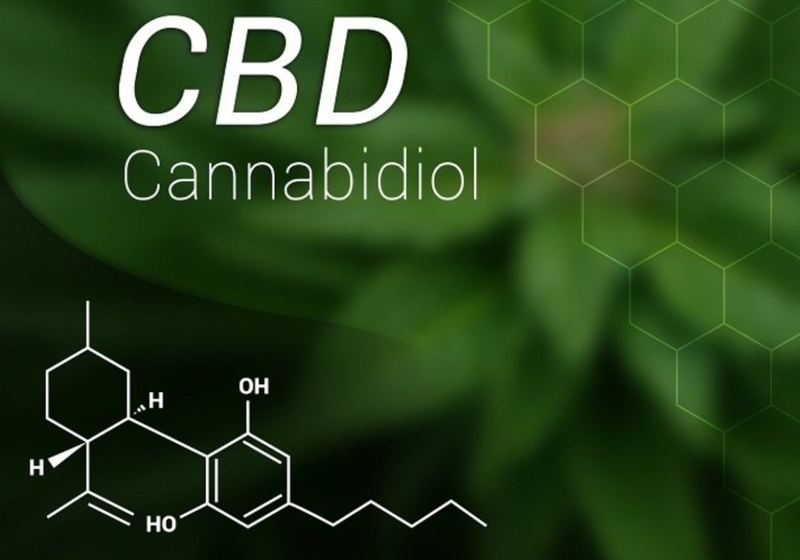 Much like mood regulation medicine, melatonin, or vitamins do for health, taking CBD adds to the already-existing cannabinoid content within the body. From there, a domino effect begins within the body, maintaining a healthy level of nervous function useful in seizure treatment. The FDA took a major step in legitimizing hemp oil for epilepsy in June of 2018 by approving it specifically for treatment of seizures. While you can get CBD oil from marijuana, that will probably contain too much THC, and therefore not be a true medicinal treatment. The strain of cannabis sativa known as hemp must contain less than 0.3% of THC in order to legally be classified by the FDA as hemp, and thus a viable treatment for seizures. However, the FDA recommendation only applies to seizures from Dravet syndrome and Lennox-Gastaut syndrome, not other types of epilepsy. While research is ongoing towards its efficacy as an anticonvulsant in other cases of epilepsy, these two have shown statistically significant reductions in seizure severity and frequency. In short, CBD reacts with our body’s natural endocannabinoid system to affect pain sensation, sleep, mood, and more. Most importantly, the endocannabinoid effect mitigates the frequency of epileptic seizures, especially in Lennox-Gastaut Syndrome and Dravet Syndrome. We’ll discuss those issues, and other ways CBD oil for epilepsy can be applied, in more detail below. What are Lennox-Gastaut syndrome and Dravet syndrome? Lennox-Gastaut syndrome (LGS) is an epileptic disorder starting in childhood. Those suffering have famously difficult to control seizures, as LGS is characterized by varying seizure types and resulting physical and cognitive problems. Science continues to search for the best form of treatment, often combining multiple types of pharmaceuticals. Therefore, the efficacy of CBD oil in treatment is highly encouraging. Dravet syndrome follows a similar path to LGS, beginning in early childhood and affecting quality of life through adulthood. In contrast, seizures from Dravet can be triggered by fevers, leaving parents and children alike fearful of the common cold. As another developmental disorder, Dravet syndrome can also have lifelong consequences such as learning and behavioral difficulties. Any parent on the fence about using CBD oil for their child’s epileptic seizures should watch this inspiring YouTube video of one child’s success story. Does CBD Oil Work for Adults with Epilepsy? Seizures arise from volatile electrical firing in the brain. This unpredictable neuronal activity results in uncontrollable physical movements and mental states, AKA seizures. Anticonvulsant pharmaceuticals typically work by slowing down this excitatory nerve activity. CBD oil has shown an overall reduction in seizure frequency in adult patients with positive results, although it’s not exactly clear why. Research is continuing to study the anticonvulsant properties of CBD oil and its interaction with the endocannabinoid system. For now, CBD oil has been shown to modulate the frequency and severity of seizures in adults and children with epilepsy, and research continues to search for the exact mechanism of action. Can CBD Stop Nocturnal Seizures? Sufferers from nocturnal seizures know that 90% or more of seizures occur while sleeping. While they can occur while awake, these seizures typically come from changes in electrical activity while asleep, such as transitioning from waking to stage 1 and 2 of sleep. Cannabinoids have been shown to improve sleep onset, meaning they can induce fatigue and smooth the transition from waking to sleeping. That, combined with CBD’s ability to calm electrical activity in the brain, provides a solid theoretical treatment for nocturnal seizures. If CBD oil can improve sleep quality, especially in early stages, increase benefits of REM sleep, and keep electrical activity closer to normal, that shows a lot of promise for treatment of nocturnal seizures. However, more research is necessary to confirm it as a definitive cure. If you’re a pet parent to an animal with epilepsy, you might be looking for an alternative to pharmaceutical treatment. The veterinary costs of treating an animal with epilepsy are outrageous, especially without insurance. But no animal-lover wants to see their little one suffer through the throes of a seizure. So it might seem like expensive pharmaceutical care is your only option. Fortunately, there’s an alternative emerging in the use of CBD. One of the most promising and scientifically-based used of CBD oil lies in treating seizures. In animals as well as humans, long-term CBD oil use can quell the violent electrical issues that bring upon epileptic seizures. Furthermore, CBD doesn’t have the negative side effects that come with traditional seizure medication in pets. We have to be clear, though: dosage will vary tremendously from that in a human. After all, your animal is at least ½ of your size (unless, say, you have an epileptic horse). Check in with your veterinarian about dose-specific treatment for your pet’s condition. The general idea is CBD oil interacts with CB1 and CB2 receptors in the brain to relieve pain associated with epilepsy. By preventing the transmission of sensory pain, it can alleviate some of the symptoms. It’s anti-inflammatory and neuroprotective qualities also act as preventive measures. That doesn’t explain how it reduces seizure frequency, however. In 2016, a study looked at CBD administration during the chronic phase of seizure could induce antioxidant defense. This protective measure facilitated the autophagy pathway in their epilepsy model to significantly diminish seizure scores. All in all, hemp oil from CBD works as an antioxidant, neuron protector, pain modulator, and anti-inflammatory treatment to keep homeostasis in the brain. Interest in using the anticonvulsant properties of CBD for epilepsy goes all the way back to the 80’s. A study from the Journal of Clinical Pharmacology in 1981 showed therapeutic potential in grand meal, complex partial, and cortical focal seizures in mice. Unfortunately, as we know, illegality in marijuana usage severely stymied research in to cannabis until recently. Flash forward to present day, and we find more and more studies confirming the anticonvulsant properties of CBD. The neuroprotective qualities of CBD oil yield an effective preventive treatment for epilepsy. A study in PeerJ even went so far as to test the molecular efficacy of CBD’s anticonvulsant properties. They concluded that the qualities aren’t just limiting behavioral seizures, but transforming the molecules within the brain. Can you mix phenobarbital and CBD oil? CBD oil effects an enzyme responsible in the metabolism of various pharmaceutical drugs, including phenobarbital. Therefore, concern has arisen about mixing the two treatment modalities. Phenobarbital is classified as a barbiturate, causing a depression of the body’s nervous systems through increasing activity of the GABA inhibitory neurotransmitter. This results in a slowing down of bodily functions such as heart rate, lower blood pressure, consciousness, and temperature. While this is generally a good thing during an out-of-control seizure, it could be a negative side effect otherwise. Phenobarbital and other barbiturates have also been associated with abuse and increased suicide risk. As CBD doesn’t have these effects, it might be a better option for some. Mixing the two has shown no real reports of increased side effects or issues. In fact, one study claimed it could actually enhance the anticonvulsant properties of phenobarbital. Granted, this was in 1977, and science has advanced since then. But it still suggests that they’re generally safe to take together. To be completely safe, any new medication or dietary intervention with the goal of stopping seizures (or any serious medical condition) should always be under the guidance of a doctor. So far, the general consensus is that it’s fairly safe to mix the two. However, the research o CBD usage is very new, so proceed with caution, control dosage, and monitor response and reactivity. Dosage of CBD oil depends on the quality and purity of the oil being given. As with anything, consultation with a medical professional is paramount, especially when dealing with epilepsy. For low-dosage initiation in children, the general recommendation is to start around 0.5 mg/kg each day. That means, if your child weighs 30 kg, you’d give 15 mg each day. Again, this is just a recommended starting point, and doctors may agree to a steady increase over time. Adults can start at a low dosage of 25 mg/day with increases by 25 mg every two weeks to treat epilepsy. Heavier or larger adults may want to begin at a higher dose, and each individual’s specific needs will vary. Ways to Administer CBD Oil – Which one is for you? CBD Products differ in their absorption depending on their method of administration. For epilepsy, the best results tend to come from sublingual administration, or by droplets of CO2 extracted oils underneath the tongue. These vials of hemp oil for epilepsy come with pre-measured droppers so you can manage your dosage accurately. Sublingually – preferred way of treatment for epilepsy from drops, concentrates or tinctures. Fast absorption, moderate duration of action. Oral administration (not sublingual) – capsules/pills and edibles. Much slower absorption as it goes through the digestive tract, but longest duration of action. Vaping – absorption through the lungs, fastest way to get CBD in to the system as it goes directly into the bloodstream, but consequently the shortest duration of action. Discuss your options with your primary care physician before beginning treatment of any kind. They will be able to guide you to a more specific treatment plan and method of application. If you or your child suffers from epilepsy, it might be worth your time and money to invest in CBD oil for seizures. It’s absolutely the one benefit of CBD that’s heavily backed by science. The main reason to invest in CBD hemp oil for seizures comes with its strong effect on minimizing seizure frequency and intensity with little side effects. Especially now that this treatment is backed by the FDA, you can be assured that all appropriate measures have been taken on its safety. For long-term maintenance, sublingual administration is recommended daily to build up concentration of cannabinoids in your system. Yet for those who want to manage acute flare-ups, you might want to try vaping as well. It acts the quickest and can alleviate immediate symptoms to calm nervous activity. CBD oil’s promise for the future of epilepsy treatment proves to be reliable in managing and hopefully omitting seizures long-term. Finally, it’s much cheaper than traditional pharmaceutical interventions. Save your wallet at the same time you save your health, and invest in CBD today.